Its Christmas Pudding Heaven here at Blasta Wholefoods. We have an enormous range of puds this year including Gluten Free, no added Sugar and Organic. Stars of the show this year are some Irish made artisan puddings. Delicious, the Gluten Free bakery from Ballincollig Co. Cork have produced some lovely gluten free puds, individual Christmas cakes and super mince pies for the Ceoliacs in your life. I’ve been banging on about Green Saffron spices all year & now Arun & Olive from Midleton have produced the most wonderful Christmas puds packed with warm exotic spices. 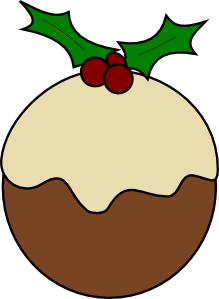 We had one of these ourselves last year and it was without doubt the best Christmas pud I’ve ever had. This year they’ve added a Gluten Free Christmas pud to the range.